Targeting the Millenials, Samsung has launched its M-series phones in India. The two phones M20 and M10 feature infinity-V display (water-drop style notch), dual camera with ultra-wide lens, long lasting battery, new Samsung Exynos processor and a new Samsung Experience UX. Out of the two, the Galaxy M20 is more powerful that comes with 6.3-inch FHD+ screen and runs on the new Samsung Exynos 7904 octa-core processor. The phone comes in two variants, 3GB/32GB and 4GB/64GB, and is priced at Rs. 10,990 and Rs. 12,990 respectively. One of the highlight of the M20 is that it comes with a 5000mah battery with fast charging support and type-C connector. The M20 comes with rear-finger print sensor and face unlock feature. Both Galaxy M20 and M10 come with a 13-megapixel primary rear camera that has F1.9 aperture. The secondary rear camera has a 5-megapixel ultra-wide lens. The other phone, M10 is powered by Samsung Exynos 7870 octa-core processor. It has a 6.2-inch HD+ Infinity V-display. The M10 also comes in two variants, 3GB/32GB and 2GB/16GB. The prices are Rs. 8,990 and Rs. 7,990 respectively. 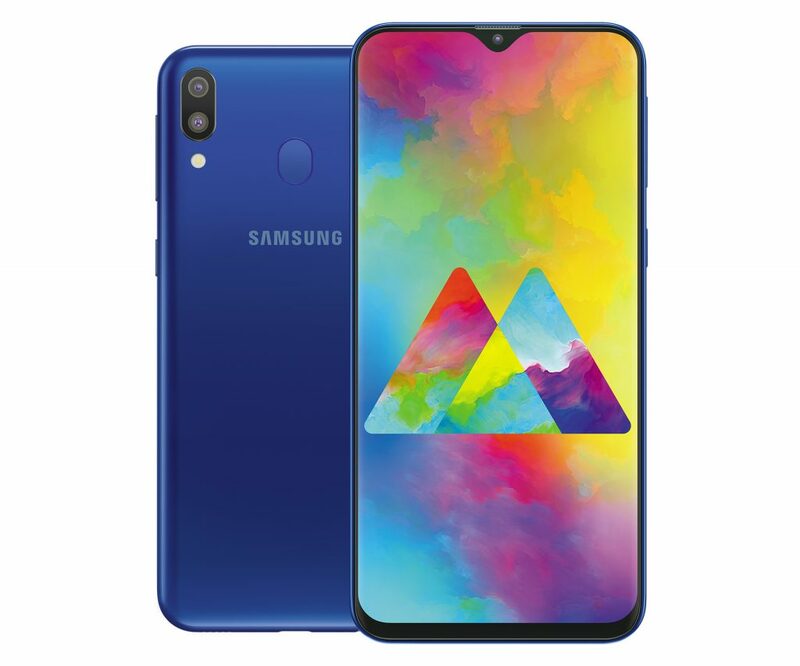 The Galaxy M10 comes with face recognition unlock feature and lacks finger-print sensor. Additionally, both these phones come with a new Samsung Experience version 9.5 UX. Galaxy M20 and M10 come with dedicated storage slot expandable to 512GB and have dual SIM VoLTE support.